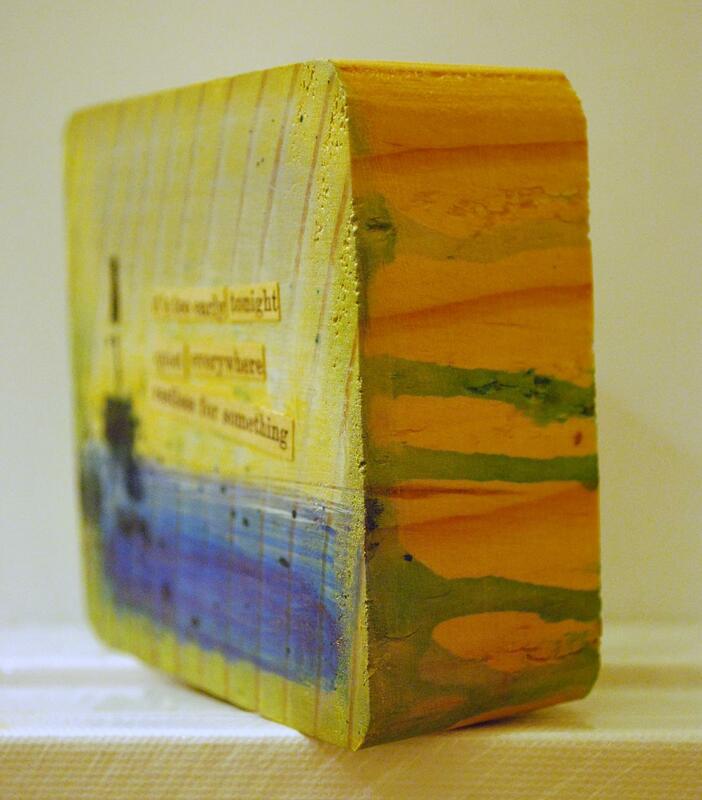 Today I worked on two poem blocks and three mini cityscapes. As “worked on” doesn’t necessarily equal “finished”, today’s piece is this single block. I’m still harvesting text bits from that good old 30’s Nancy Drew book. 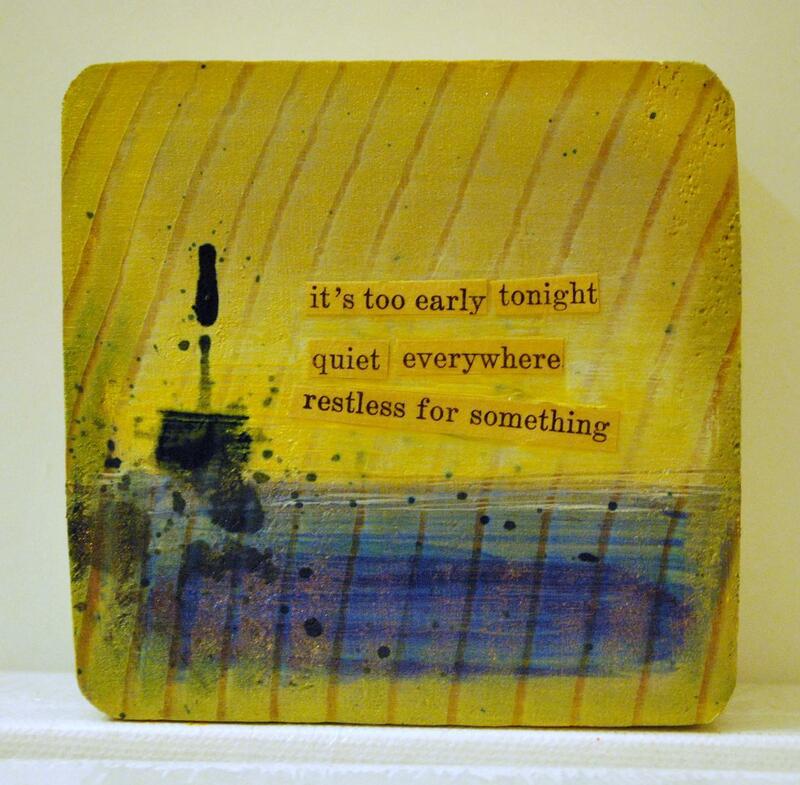 This one reads: “it’s too early tonight/ quiet everywhere/ restless for something” and is painted in green-gold with splashes of blue. It’s a poem for those times when the evening isn’t yet living up to your expectations/energy level. I let the color drip down the side again, which I’m grooving on right now. 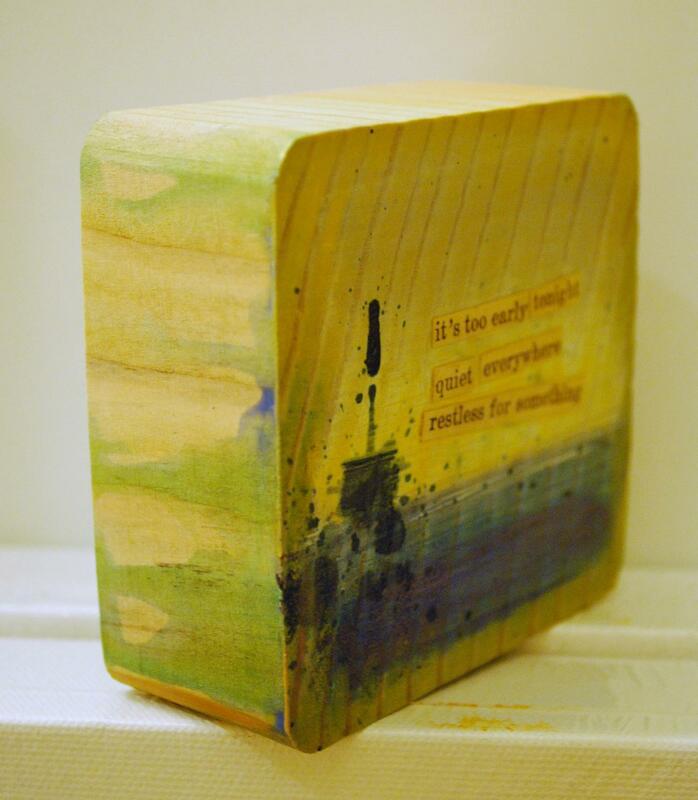 More poem blocks/mini cities tomorrow! i really like that first line. in a lot of ways this feels like haiku. these are fun.